Issue #1717 took a much more round about way of arriving at the same proposal you have here. Nice work @yachiehwu! I'm closing #1717 in favor of this one. To echo @jetvillegas' last question, @fantasai, @frivoal, @tabatkins et al, can you provide some guidance where in the spec this should go? 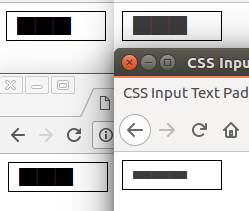 Previous message: Boaz via GitHub: "Re: [csswg-drafts] [css-boxmodel] Allow the texts in input element to be painted into the top and bottom padding area."